Becoming a professional gamer was once inconceivable, but today it is very feasible way to generate a substantial income. Video game streams attract millions of viewers every day. Viewers typically dedicate their time and money to streamers with skills and personality, but some streamers attract a cult following without even gaming competitively. Streamers typically broadcast on Twitch.tv. Youtube Gaming, Hitbox, and Ustream are also popular options. It is hard to gauge the exact net worth of the wealthiest gaming streamers. However, one can get a ballpark figure of a streamer’s net worth by analyzing their subscribers, donations, and sponsorships. One thing in particular to keep in mind is that Twitch.tv’s subscription system is different from other sites. When a user subscribes, they agree to pay $5 per month and receive several benefits as a result. 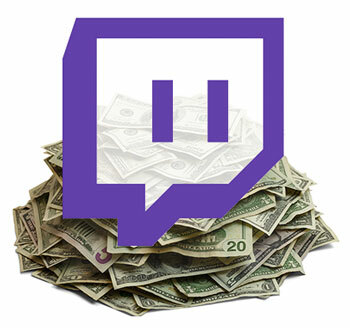 Twitch.Tv takes a 50% cut of that figure, so therefore streamers receive $2.5 per subscribed month. A user with relatively few subscribers can still make enough income live off of. Because, Twitch.tv does not allow streamers to reveal their exact subscriber count, a streamer’s total subscribers can only be guessed by their viewer count and the amount of new subscriptions they receive while streaming. 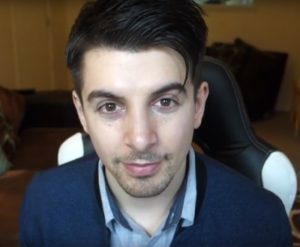 Ali Larsen aka Gross Gore is a British streamer best known for streaming Runescape. He has played the game since 2007, and began streaming after reaching a high level in the game. Gross Gore’s live streams are viewed by 5,000 to 20,000 people on any given day. Despite being banned from Twitch.tv in 2016 due to conflicts with other figures in gaming, he continued to stream on on other platforms. He was unbanned in June of 2017. Gross Gore once leaked a year’s worth of donations while drunkenly streaming. Although his donation window was only shown for a split second, the moment was still captured by viewers. In a year, he earned over $100,000. He also successfully rallied viewers to help him raise funds for a custom Toyota Supra. 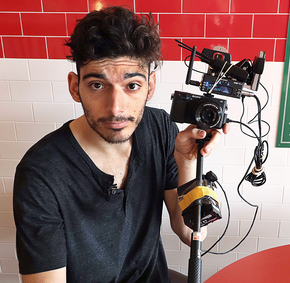 Paul Deninno aka Ice Poseidon is a Twitch streamer most famous for live streaming Runescape and his daily life Ice Poseidon gained notoriety after several disputes with Twitch.tv over his reluctance to moderate text-to-speech donation messages from viewers. As a result, viewers competed to say the most vile things they could conjure. After a buildup of controversy, Twitch.tv banned Ice Poseidon for a month as a stern warning to not slip up again. Although the characters of his fanbase may be questionable, Ice Poseidon at least makes money from them. As he once showed viewers on stream, he has made over $100,000 from donations alone. His exact amount of subscribers is unknown, but the data he displayed showed he gained 450 to 600 subscribers per month. That means he can receive anywhere from $1125 to $1500 per month. 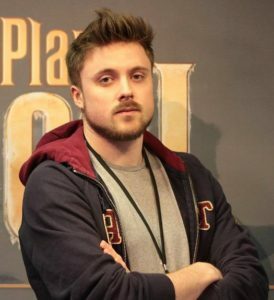 Forsen aka Sebastian Fors received flak from viewers after switching to playing Hearthstone almost exclusively from games such as Starcraft and PlayerUnknown’s Battlegrounds. The Swedish streamer’s change in his habits resulted in him losing some of his subscribers. However, it is known throughout the gaming community that most Hearthstone players are paid considerable amounts of money by Blizzard. Forsen was once one of the top streamers on Twitch, and is still well known despite falling from the top spot. While live streaming in March 2015, his total donations were displayed. In a single month, he had received roughly $200,000 in an 8 month period from donations alone. He is estimated to have over 6000 subscribers. Tim Foley aka Trick2g is a streamer and professional League of Legends player. Trick2g is known for his on-stream antics, particularly loud angry screaming when his team messes up. He is also known for streaming long hours. At the peak of his career, he would sometimes stream 12 hours a day. Although figures on Trick2G’s net worth are difficult to find, a look his stream reveals that his stats closely rival those of the platform’s other top streamers. He has been streaming since 2014 and averages 2500 subs per month. In 2014, it was estimated he made $14k per month from ads, subscribers, and donations. Chance Morris, also known as Sodapoppin is a gaming streamer who got his start playing World of Warcraft competitively. Sodapoppin reached rank 1 on the game, and more than half of Twitch’s World of Warcraft viewers were watching him on any given day. After several years of playing World of Warcraft, he began streaming himself playing a wide variety of other games. While trying to his donation total for a single streaming session, Sodapoppin leaked his all-time donations on accident. His donations for the first few months of 2017 totaled just over $230,000. Sodapoppin has also claimed to have over 70,000 total subscribers throughout his streaming career. Assuming none of those subscribers were recurring, that means he has made at least $175,000 from subscribers alone. 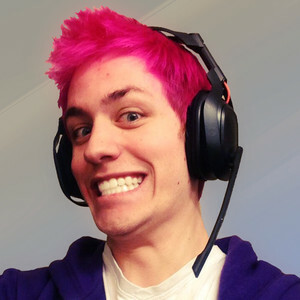 In any given month, Sodapoppin usually has around 7,000 active subscribers. 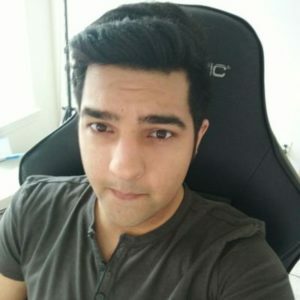 Lirik, aka Sabiq Zahid is one of the most successful streamers of 2017. His entertaining presentation style helped him build a large following in short period of time. He typically streams 7 – 10 hours per day, and his stream is viewed 20,000 – 30,000 people per day. Lirik plays games such as League of Legends, World of Warcraft, DayZ, and any game his viewers demand. Lirik makes over $200,000 annually from subscribers alone. His massive following attracts many companies who offer him lucrative endorsement deals. Ad revenue (from both Twitch and Youtube), stream views, and donations are rumored to make Lirik pull in close to seven figures each year. 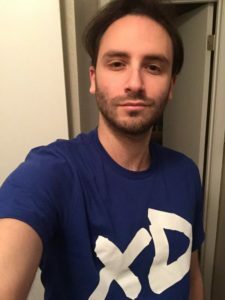 Byron Berstein, known by his handle Reckful is a veteran World of Warcraft player and event caster. He played World of Warcraft competitively for several years, and was at one point a top ranked player. He has since switched to Hearthstone and other games. After switching to playing Hearthstone almost exclusively as well as getting a girlfriend, the entertainment value of Reckful’s stream tanked – and his viewership along with it. He remains quite well known today despite this. Reckful’s decline in popularity Unlike other streamers, Reckful is quite transparent about his earnings. He has made himself a small fortune through t-shirt sales and investing. He once lost $160,000 in a poorly calculated investment, but quickly recovered. Reckful claimed to be worth approximately $1.5 million during a livestream. Jaryd “Summit1G” Lazar is a semi-professional Counter Strike Go player. 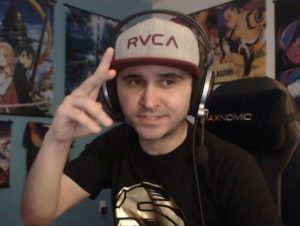 Summit1G started playing CSGO in 2012, and started playing competitively shortly after. He was one of the first top level CSGO players to began streaming, and was thus able to secure a large chunk of the fanbase. Many CSGO players also gamble with rare skins. Doing so is a legal gray area. Summit1G has been lucky enough to profit from skin gambling, which he has done so legally. However, the bulk of his earnings still come from donations and ad revenue. 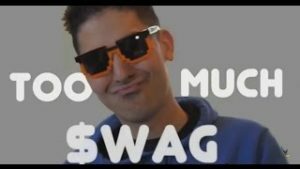 He also earns over six figures per year selling merchandise. 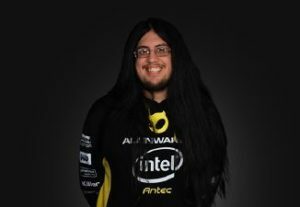 Michael “Imaqtpie” Santana is a League of Legends streamer and a former pro gamer. After retiring from team Dignitas in 2014, he decided to become a full time streamer. Imaqtpie didn’t expect many people to want to watch him, but his skills in League of Legends set him apart from the rest. He was soon making more money than he ever did as a pro gamer. Imaqtpie has successfully leveraged the fame from his pro gaming career into a streaming career that has fully eclipsed it. Subscribers, ad revenue, and donations made him $2 million dollars in 2016. With nearly 2 million followers, fe is the most popular League of Legends streamer. Not all streamers have earned their wealth through legitimate means. James Varga, known by his username PhantomL0rd became extremely popular on Twitch after winning numerous risky CSGO skin gambles. Even after he repeatedly won bets as large as $10,000 on the gambling website CSGO shuffle, few people suspected anything. In 2016, a hacker revealed that PhantomL0rd was actually the owner of CSGO Shuffle all along, and rigged odds in his favor. 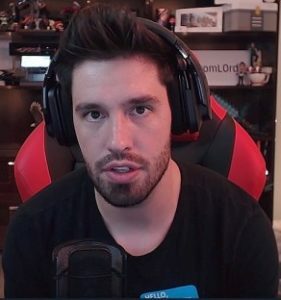 The site was shut down, but not before PhantomL0rd ran off with millions. The drama prompted Valve to ban all gambling sites that used Steam. Twitch also responded by banning all gambling broadcasts. PhantomL0rd was never prosecuted, and began streaming again in July 2017. After his ban, multiple CSGO gamblers on Youtube were discovered to have secret ties CSGO gambling sites. Previous articleFifth Harmony Snapchat Name- What is Their Snapchat Username & Snapcode? Next articleChris Delia Snapchat Name – What is His Snapchat Username & Snapcode?